When Lieutenant Frank Aloysius Mead is called to the death of a young reporter pushed from a ninth storey window in Greenwich village, New York, he sees that it is the site where a hundred years earlier, 146 workers lost their lives in the Triangle Shirtwaist Factory fire in March 25th 1911. Amanda is Frank’s daughter whom he had abandoned seven years earlier following the suicide of his wife. His prime motive in returning to New York is to try to put things right with his daughter. Now he learns that Amanda was a friend of the dead journalist and that they were both investigating the murder of Fiona in 1911. Intrigued Frank starts reading up on the fire, and then finds in the family home old papers dating back to Fiona and Cormac’s wedding in 1909 in a box that had belonged to Cormac, Fiona’s husband. Then he find’s a ‘Murder Book ’and evidence of the 1911 murder. With modern forensics can Frank find his great grandmother’s killer, and solve the current murder, and are they linked? And where is his daughter Amanda? Although the story is set in March 2011, it is interspersed with Fiona’s and Cormac’s story a hundred years earlier. The two stories running side by side provide a fascinating mystery. To say that I was captivated by this book is an understatement. I could not put it down. Compelling reading, this book is highly recommended. 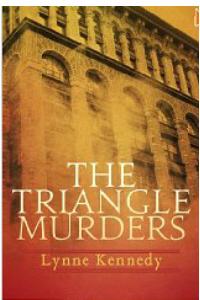 The Triangle Murders ( formerly called Tenement) was a Malice Domestic Finalist in 2011 and won the Rocky Mountain Fiction Writers Mystery Category Award that same year. Lynne Kennedy was born in Brooklyn, New York. She obtained a Masters Degree in Science from Hofstra University, New York, and moved to San Diego, California in the early 80’s. In San Diego, Lynne worked as a museum director at the Reuben H. Fleet Science Center in San Diego, California for many years. In this capacity, she developed education programs, exhibitions and film projects on a number of timely science subject areas. She also worked with the San Diego Sheriff’s Department Crime Lab and the San Diego Police Department to develop forensic programs for teachers and students and conduct mystery nights for families. She has worked with experts at various historical museums, such as the Tenement Museum in New York, the Holocaust Museum in Washington, D.C., and the Coronado Historical Museum, in Coronado, to create innovative ways of bringing history to life. 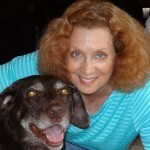 She began writing mysteries in 1995. History, digital photography and forensic science are personal interests and play significant roles in her novels. Her position in the museum community has also enabled her to network the community of experts needed to assist in her research and add authenticity to her books. Lynne is married to John Kennedy! Loved the book. Loved the review.